This wrapped bar ring is simple and elegant. 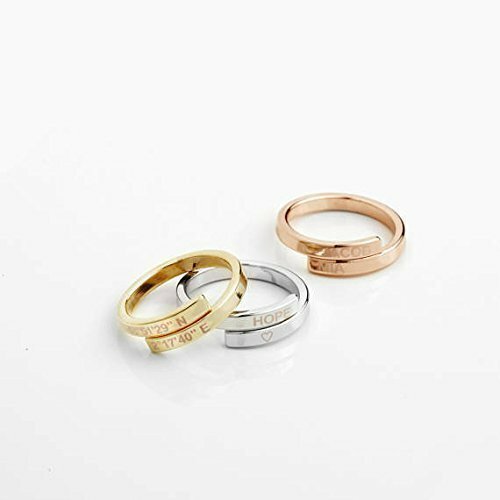 Customize it with your choice of metal finish varying from gold, silver, to rose gold, and with inscription of your name, initials, medical ID, or a short message to make it even more special. It is easily adjustable due to its wrapped design. With its elegant style, and classy appearance, this piece makes a perfect gift for any special occasion! If you have any questions about this product by MignonandMignon, contact us by completing and submitting the form below. If you are looking for a specif part number, please include it with your message.